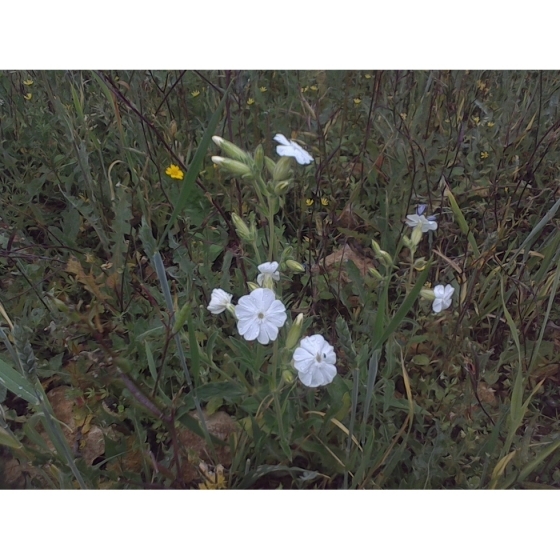 WHITE CAMPION seeds (silene latifolia) from Wildflowers UK. 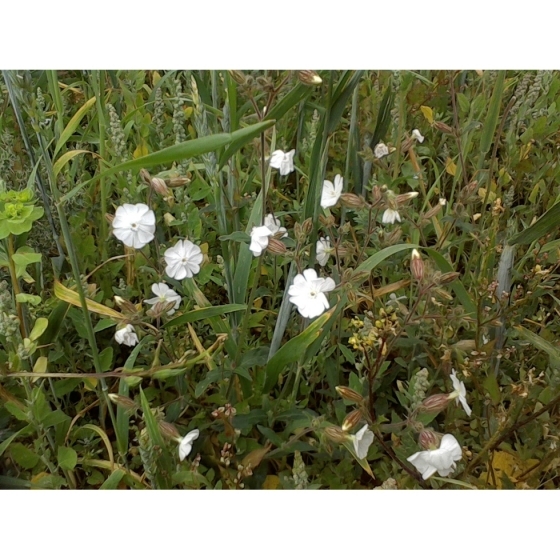 White Campion-silene alba – is useful for growing on fertile soils in full sun and is found on arable or open ground, often where the soil has been disturbed. In gardens it can be grown in flower borders or within patches of bare grass. 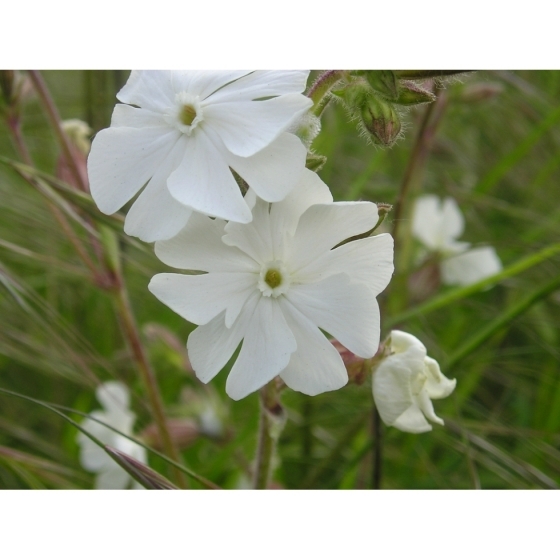 White Campion has mildly scented flowers and attracts a range of insects including bees. The white flowers appear from May to September. White Campion looks best growing with wildflowers such as Oxeye daisies, Knapweeds, Musk Mallow, Meadow Cranesbill and Field Scabious. White Campion seeds should be sown in spring or autumn, either outside, where they are to flower, or in seed trays and covered lightly with compost.. White Campion seeds are usually easy to germinate and the seedlings, which are quick to develop, can be pricked out and grown on, for planting out later in the year. 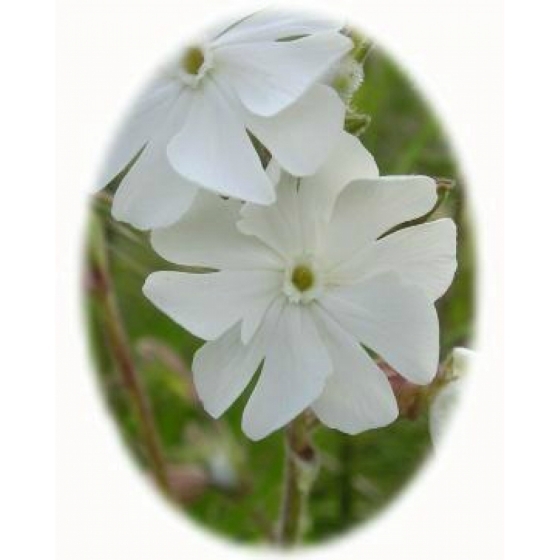 To purchase White Campion seeds, please select a quantity above and click add to cart. To ensure the best chance of success, we sell all of our wildflower seeds by weight, which ensures each wildflower seed packet contains a good quantity of seeds. The recommended sowing rate is 1 gram per square metre, and the number of White Campion seeds per gram is approx. 800. All of our Wildflower seed packets contain seeds of Native British provenance.